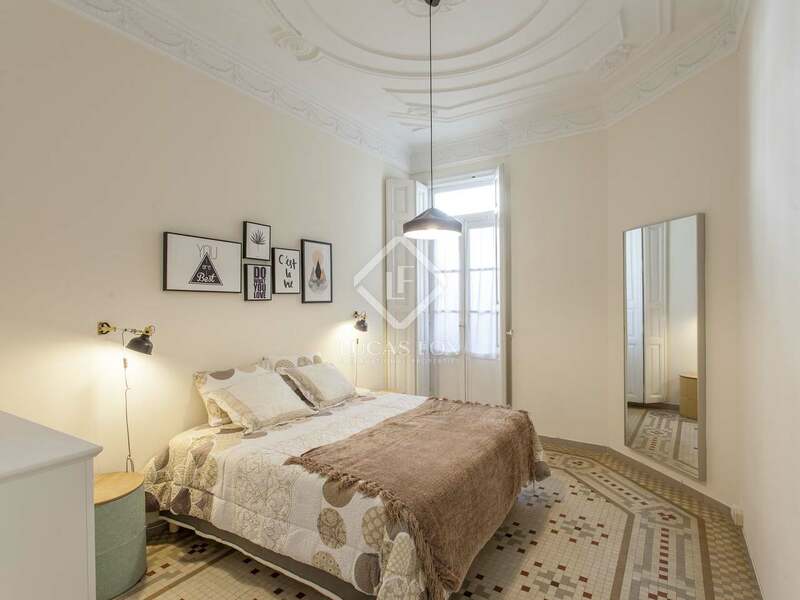 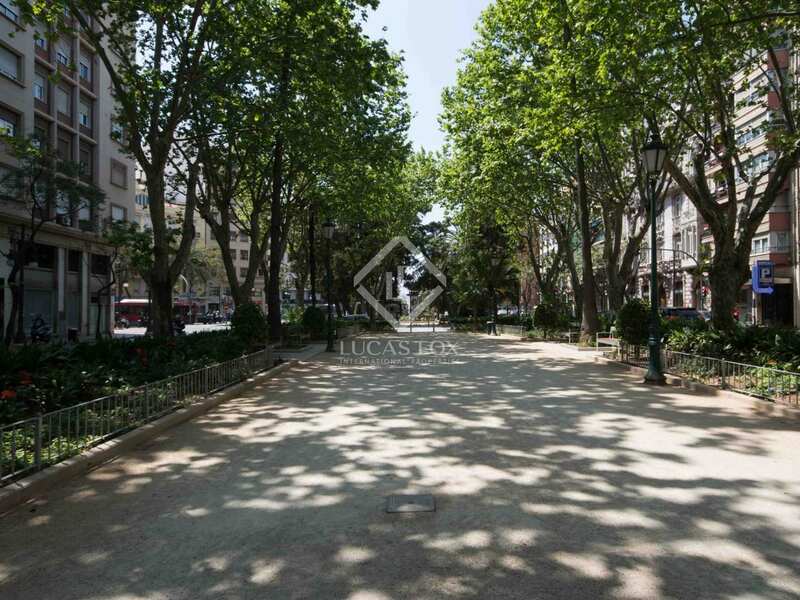 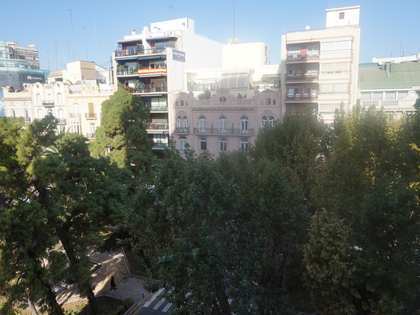 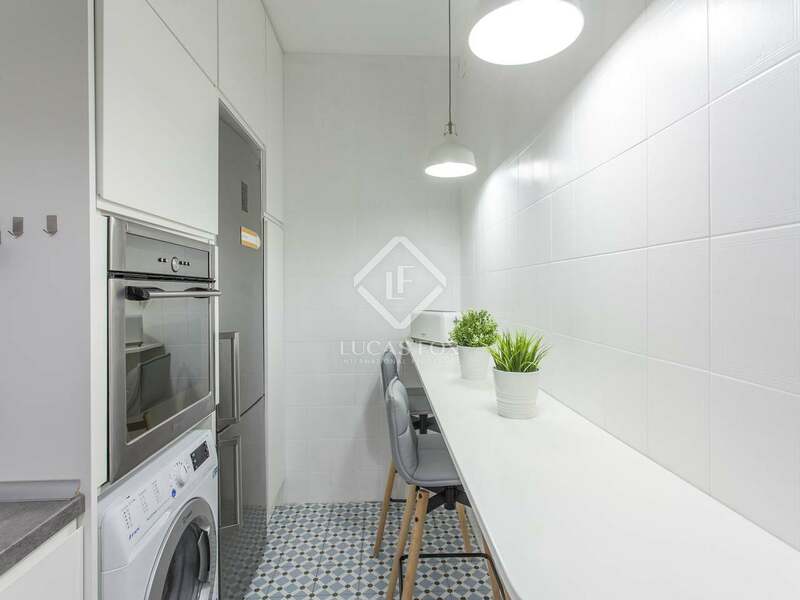 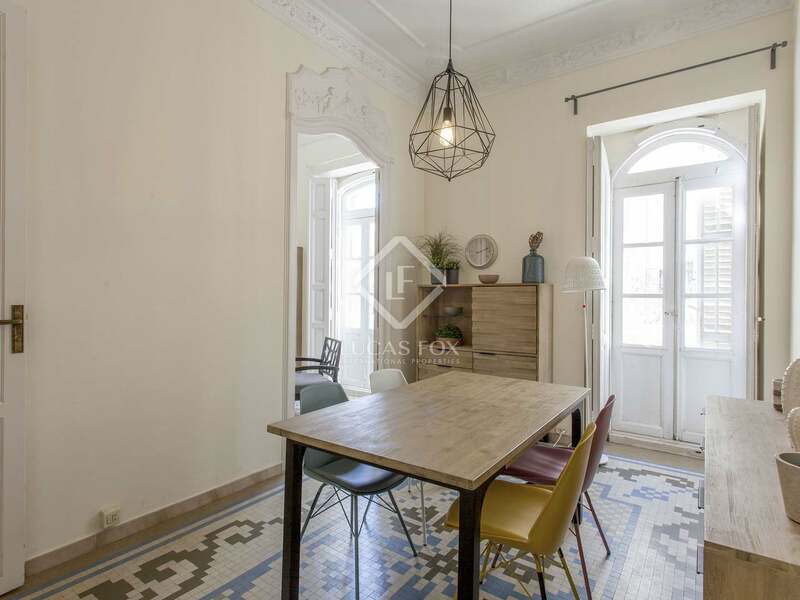 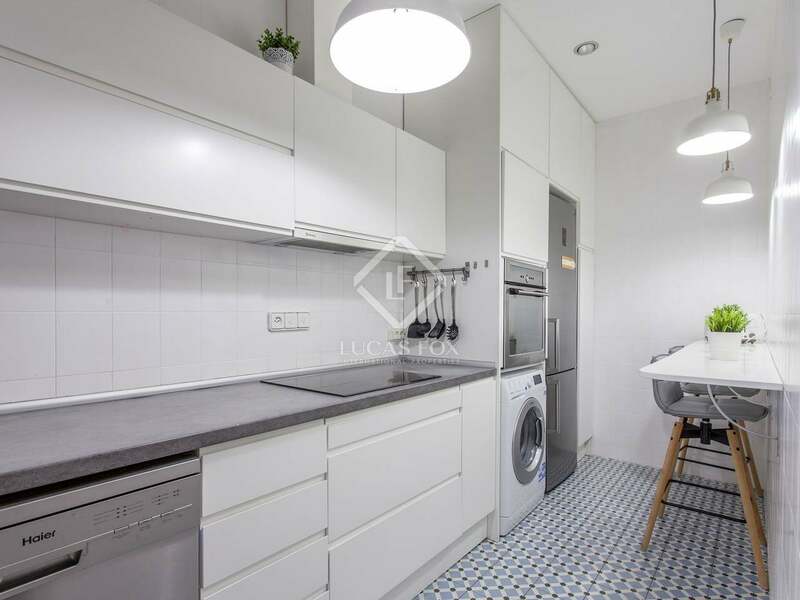 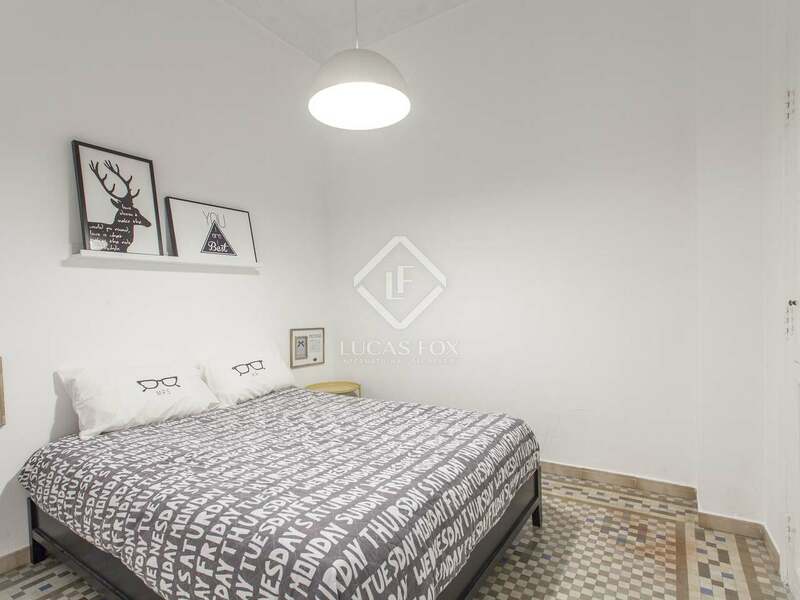 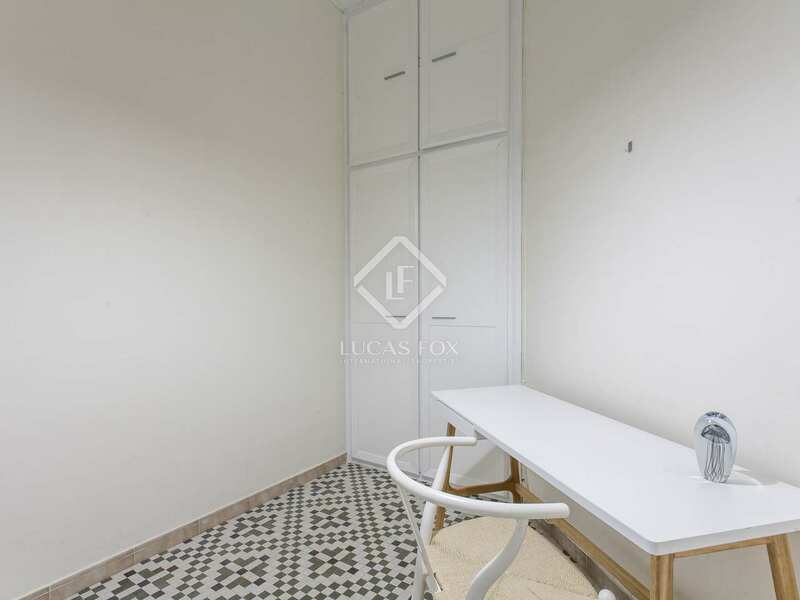 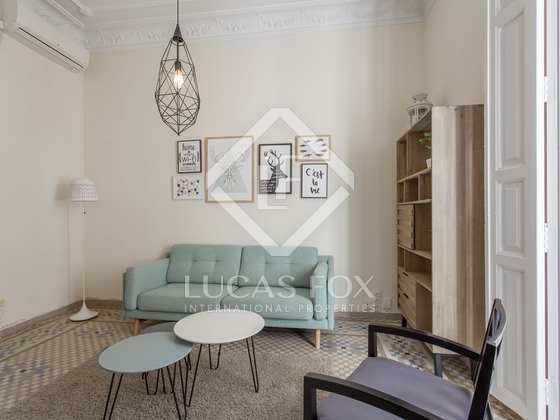 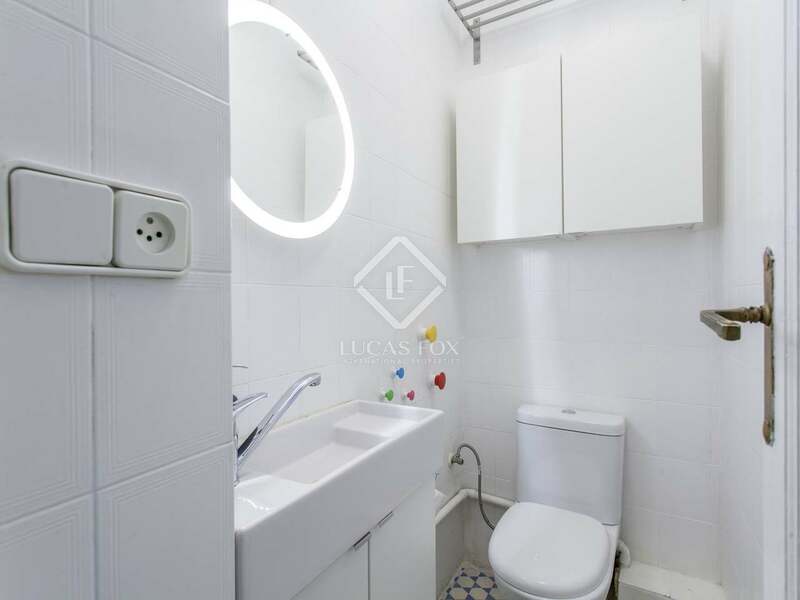 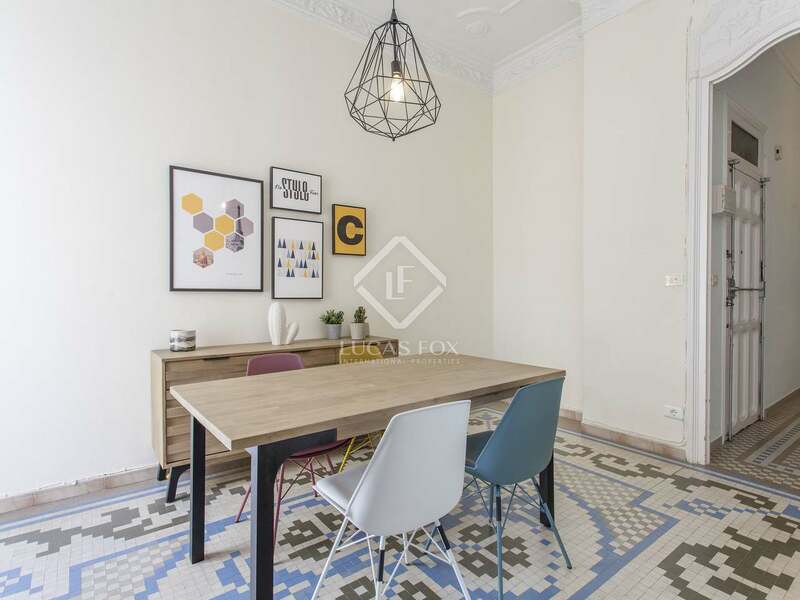 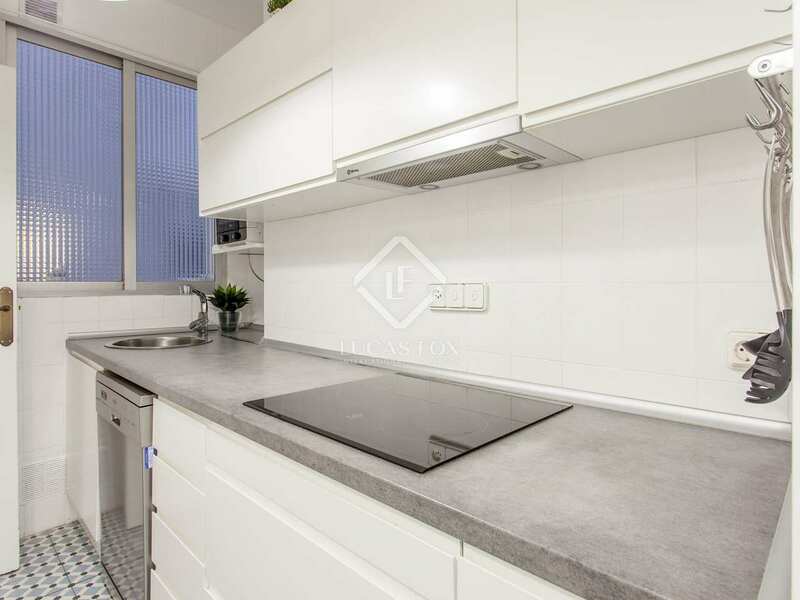 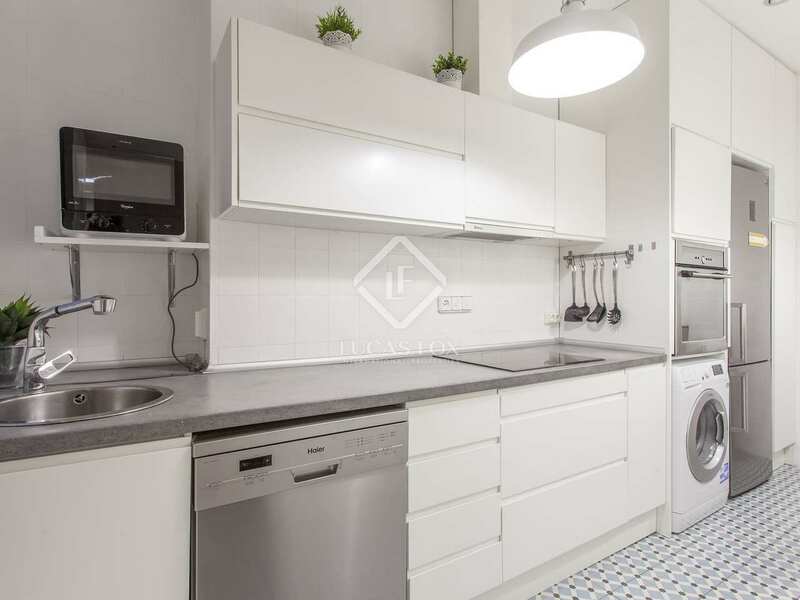 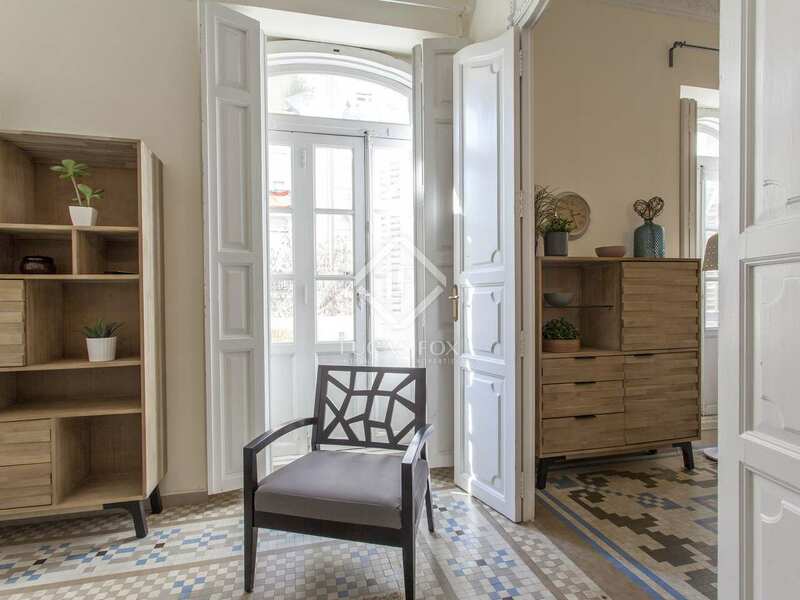 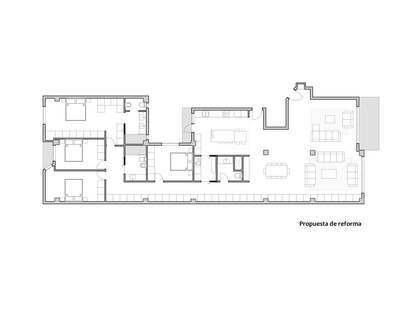 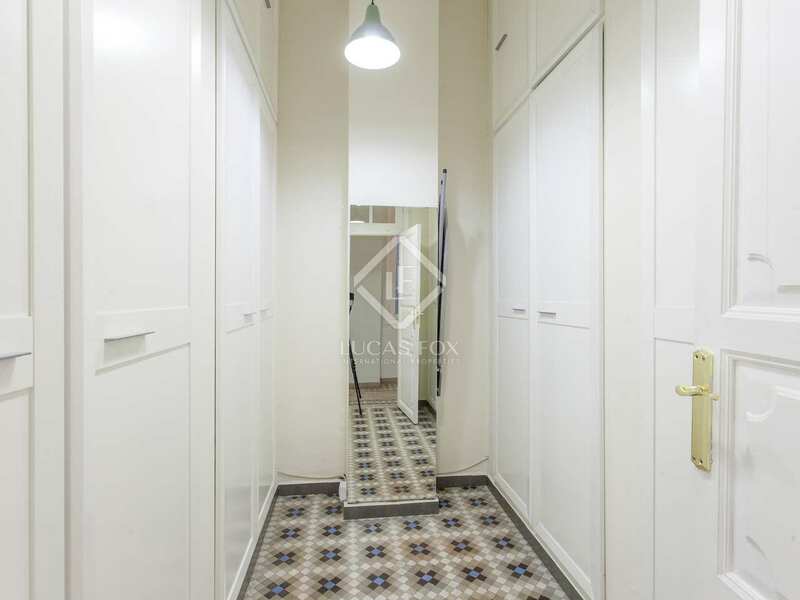 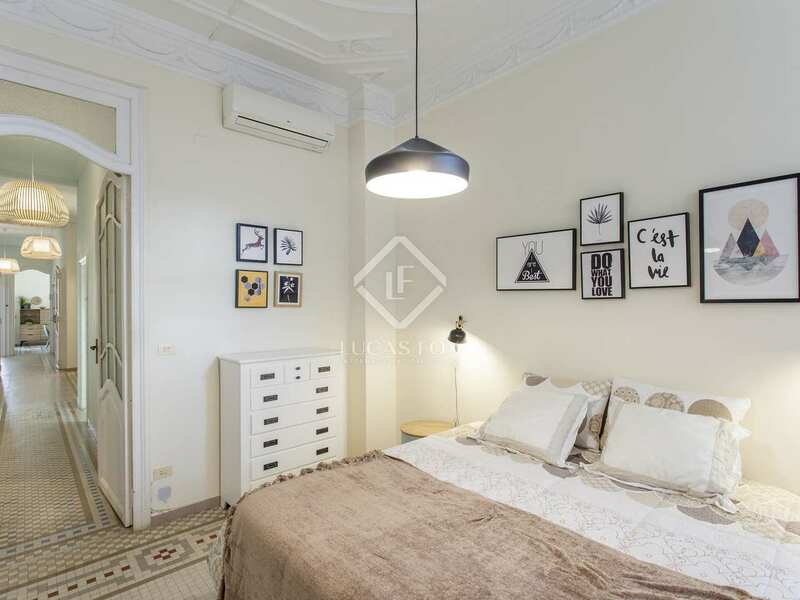 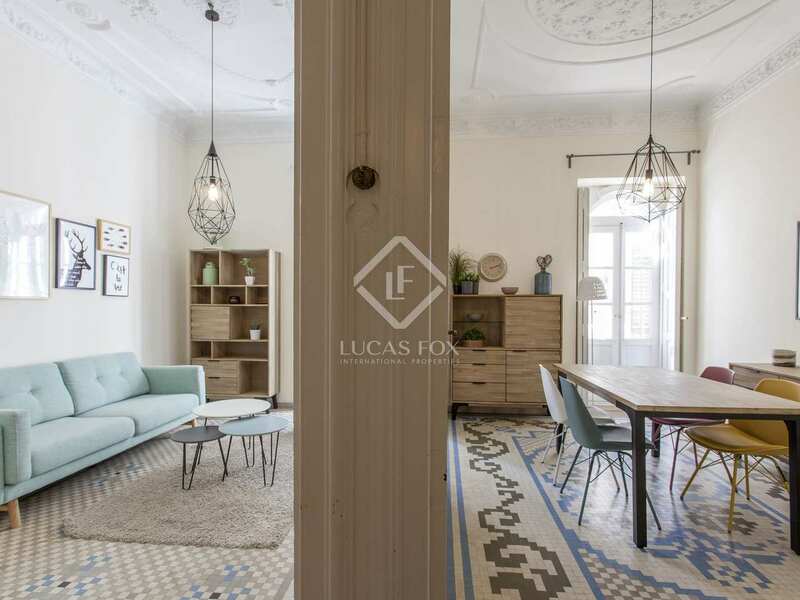 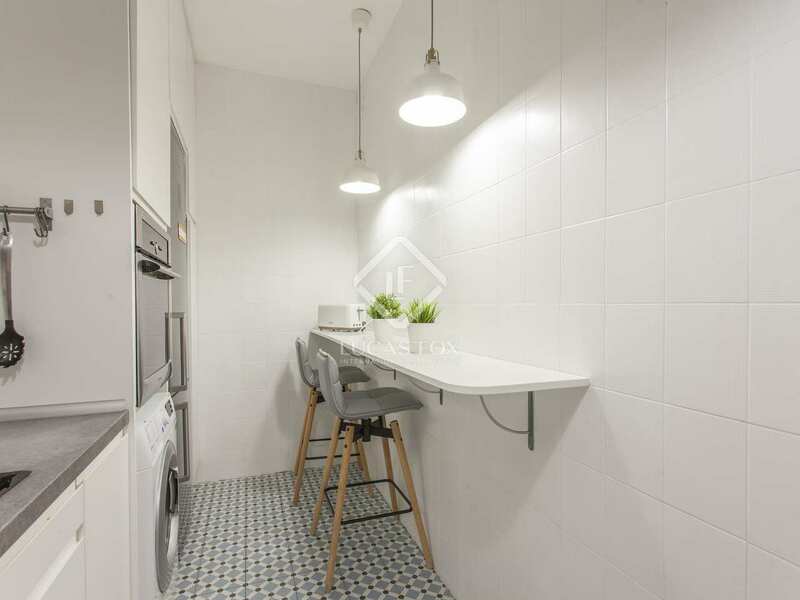 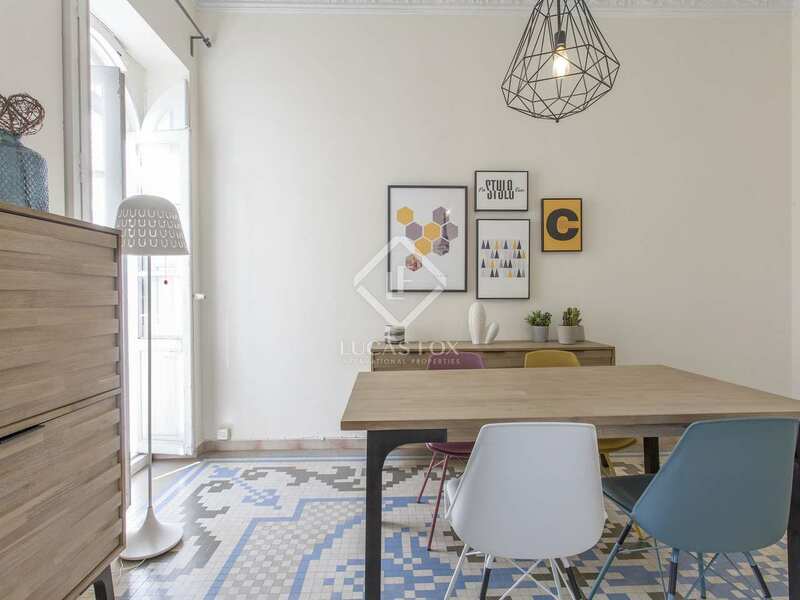 132m² apartment with abundant natural light, for sale furnished in the very centre of Valencia, close to Gran Vía Marqués del Turia. 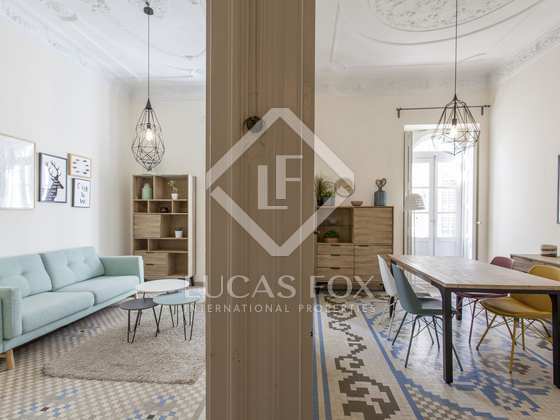 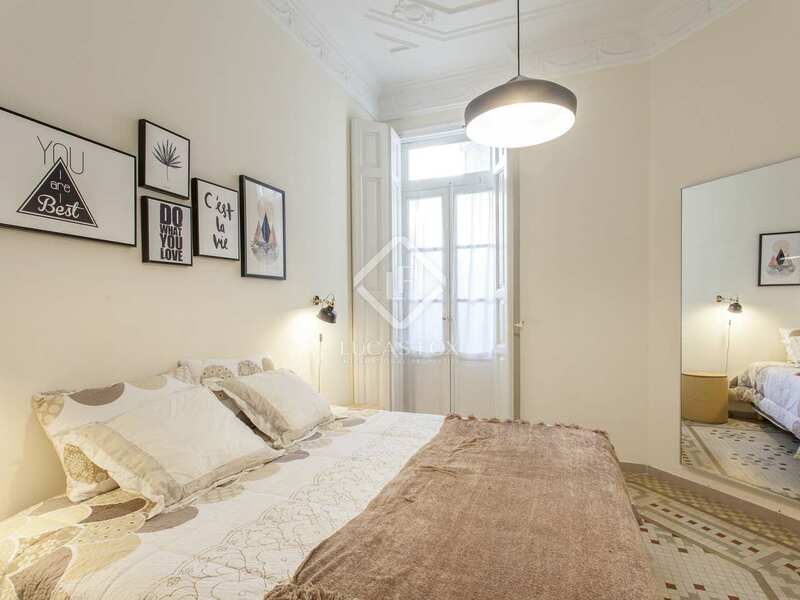 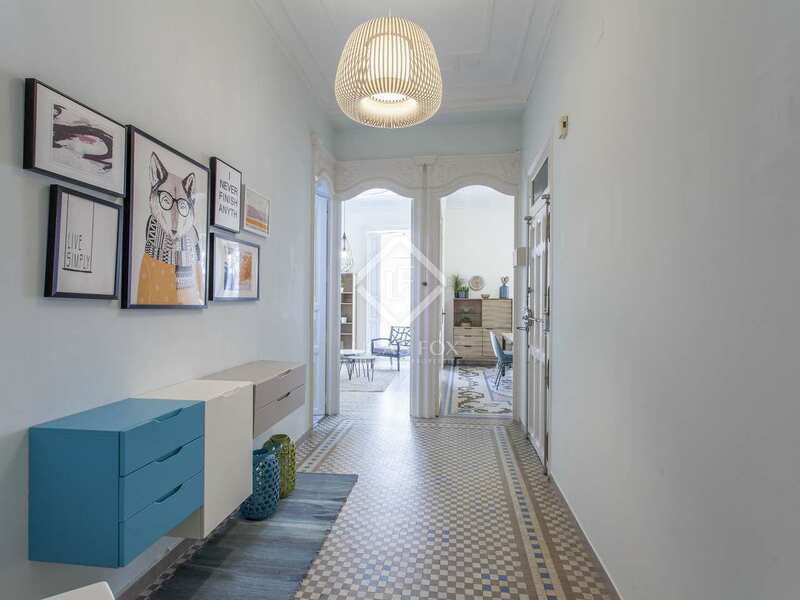 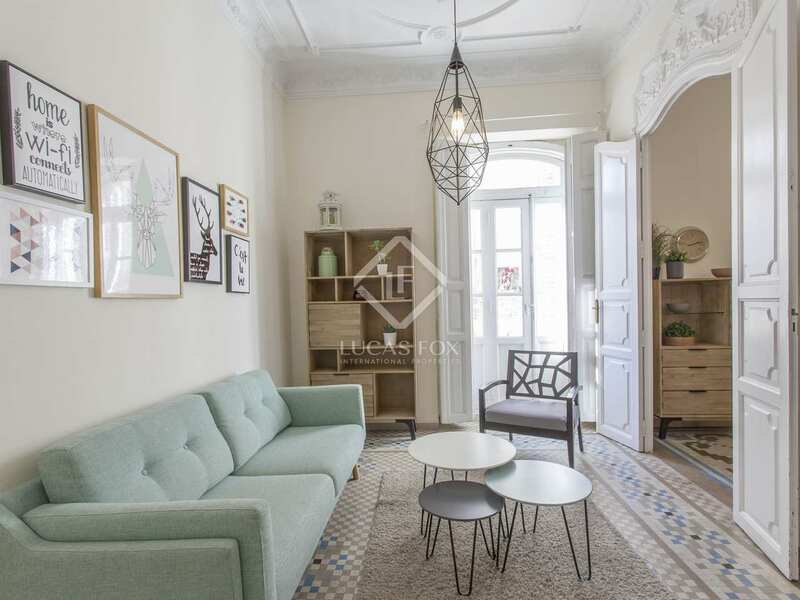 Spacious and bright property located in a historic building dating back to 1923, with a beautifully conserved baroque façade. 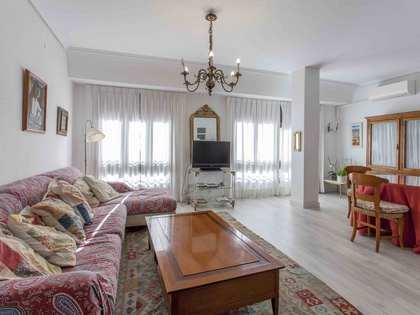 The apartment is located in the very centre of Valencia, close to restaurants, public transport and international schools. 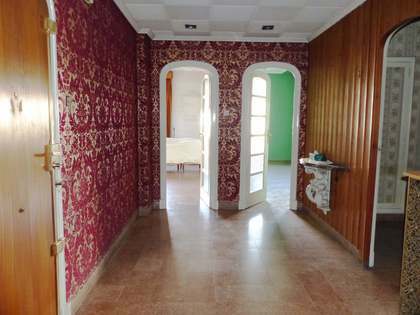 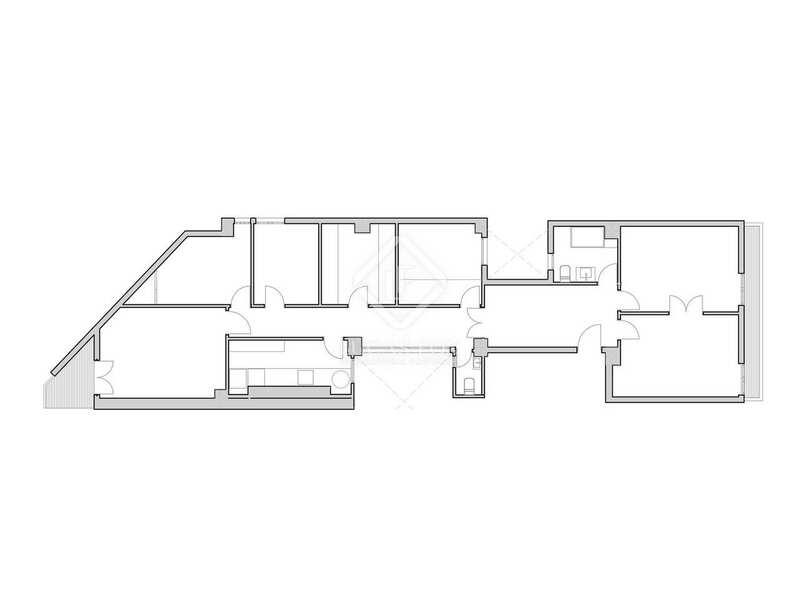 The property is composed of a large hallway, spacious living-dining area and a fully equipped kitchen. 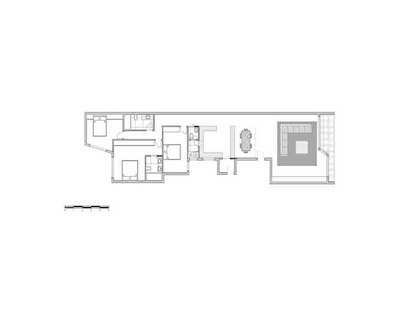 There are a total of 4 bedrooms, 1 complete bathroom plus a separate toilet. 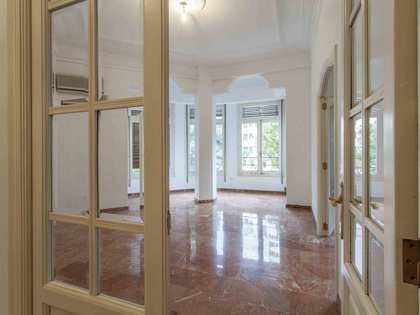 Large windows throughout the property offer pleasant views of surrounding historic buildings. 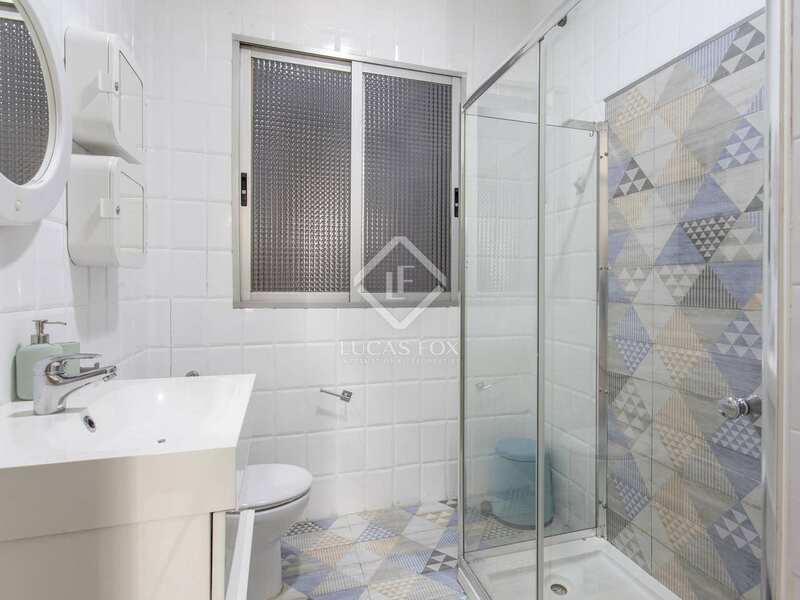 The apartment has a cooling system however it does not have central heating, it is being rented furnished. 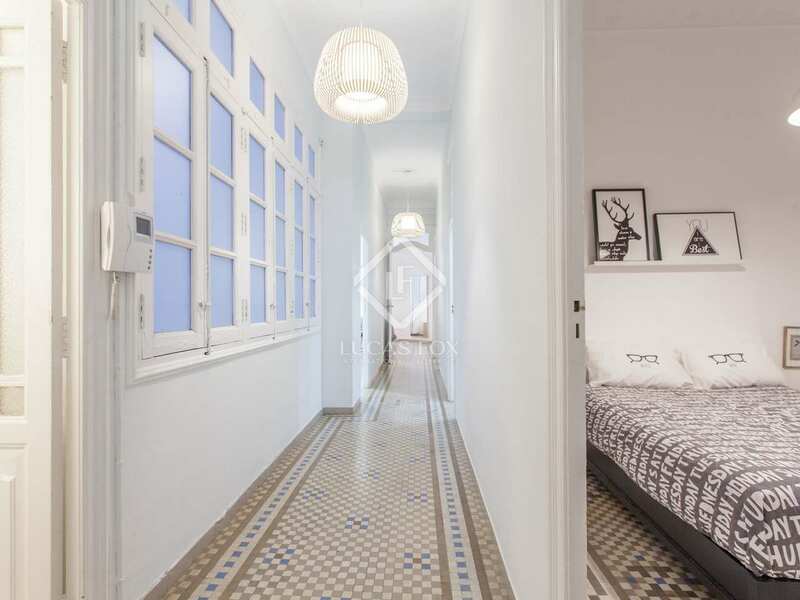 There a white wooden shutters on the windows and the 2m high doors are white wood with glass, both are original. 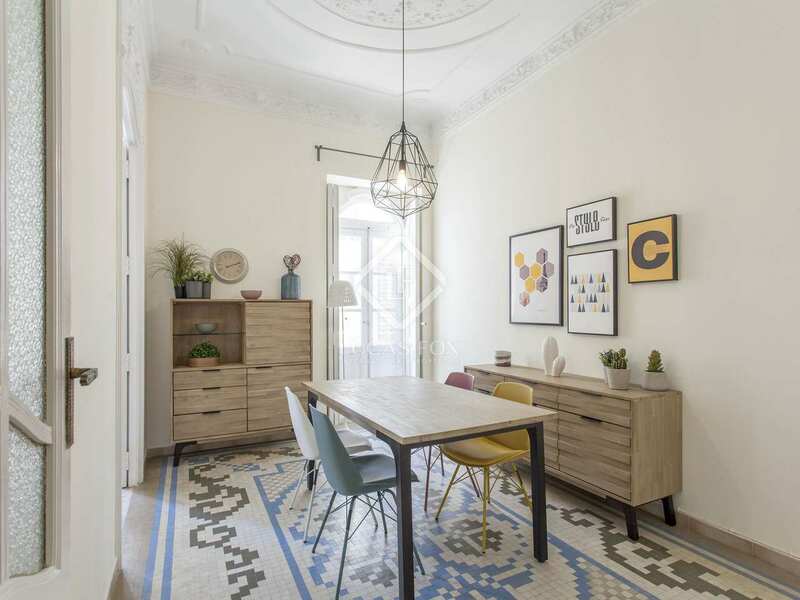 Mosaic flooring, in perfect condition, adds colour to the apartment whilst the high ceilings boast marvellous decorative moulding. 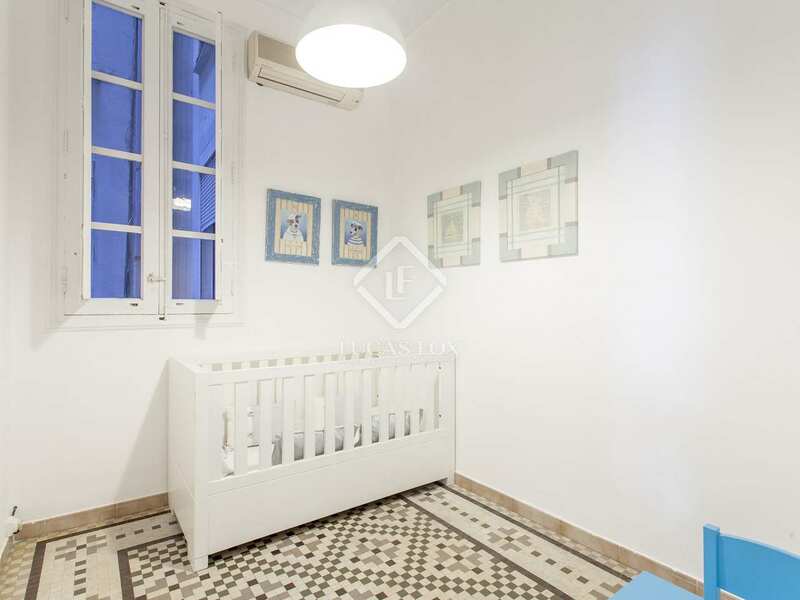 An ideal family home, close to all services and international schools. 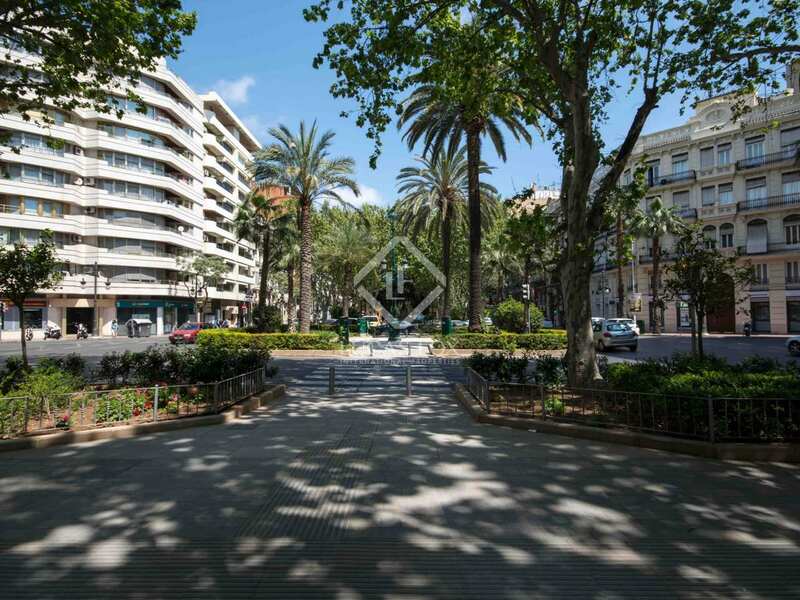 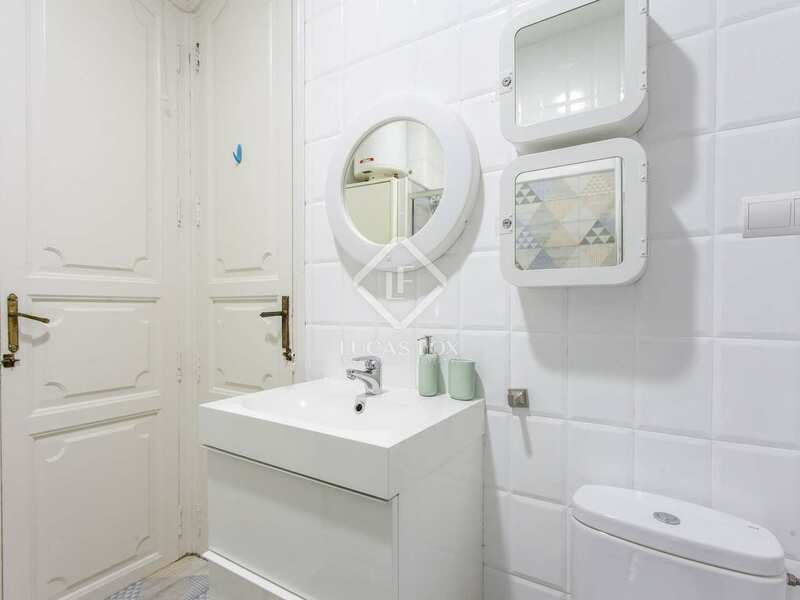 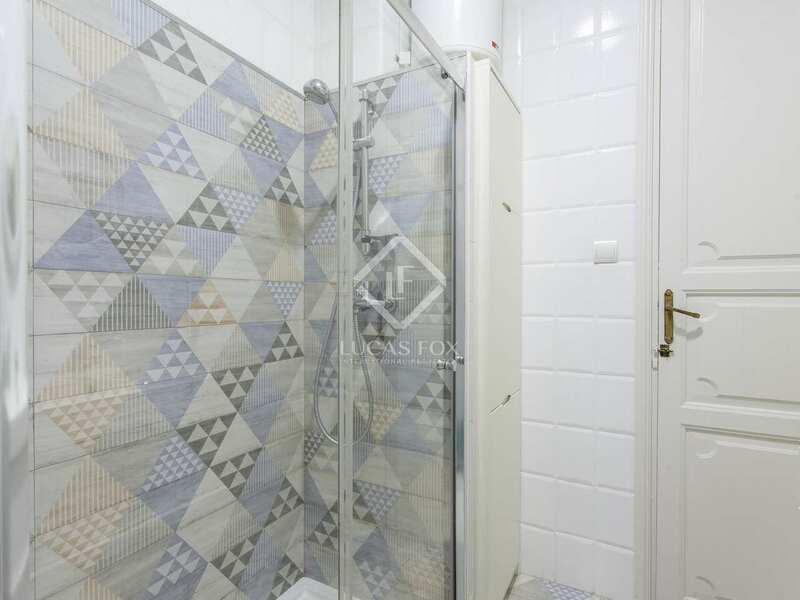 Property located in an unbeatable location, in the very centre of Valencia, close to restaurants, bus stations, train station, international schools and a great range of services including supermarkets, pharmacies, hair-dressers and shops amongst others.